The Teaching and Learning Centre works with colleagues across the institute to improve the student learning experience. The Estates Department oversees the planning, development and maintenance of the campus physical facilities and rented premises, land and infrastructure. 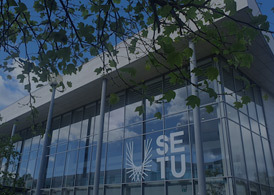 IT Carlow is currently developing a Sceim Teanga. Information about IT Carlow’s Freedom of Information and Records Management Unit. Information about IT Carlow’s Data Protection policy and procedures. IT Carlow’s Media Resources all in one place, from our logo to how to contact our Communications Office to social media links.